Everything you need to make your Kitchen Remodeling, Bathroom Remodeling or Flooring Project a Great Success! 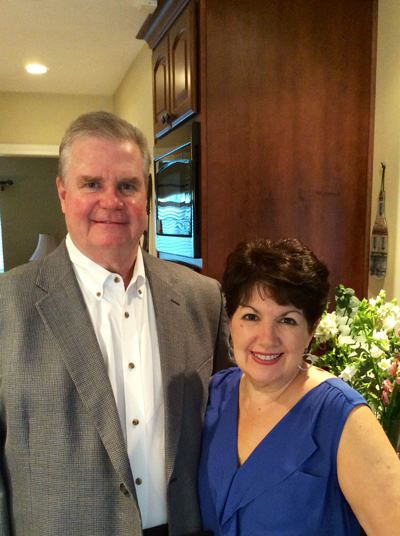 Patricia and Jamie Hamre started Hamre’s Remodeling & Flooring in Stafford in 1997. 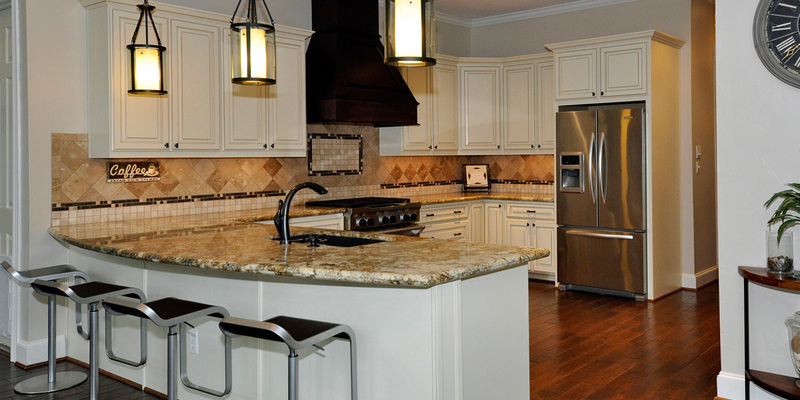 Over the years, they have built their business by providing quality products installed by dedicated craftsmen and craftswomen to a few thousand satisfied customers throughout Fort Bend County! The Kitchen is the New Living Room! Let us help you transform your kitchen into a more comfortable work space and enjoyable gathering area for family and friends. Cabinetry in beautiful door styles, rich stain or paint colors and improved storage. Countertops and backsplashes that make a design statement. Floor tile that provides the anchor and flow for the entire project. Painting that ties it all together. Create a Luxurious Retreat! Imagine a larger shower footprint with a shampoo niche and relaxing bench. Replace that monster whirlpool tub with a sleek, contemporary free standing soaker tub. Choose from Mid-Continent or Fieldstone Cabinetry to redefine vanity and storage space. Combine new looks in shower glass, mirrors and paint to create a fresh, open feel to your new Spa! With established manufacturers’ displays representing Mohawk, Shaw, DalTile, Marazzi, Earthwerks and more, we offer a beautiful variety of Carpet, Tile and Wood Flooring to make your remodeling package complete! Our installers have been with us for many years and take pride in their craft! At Hamre’s Remodeling & Flooring, you will find everything you need to make your kitchen remodeling, bathroom remodeling or flooring project a great success. Imagine your kitchen becoming the new entertainment center for family and friends. Visualize your master bathroom becoming your luxurious spa retreat. Add beauty, warmth and comfort with new carpet and wood flooring throughout your home! In our Selection Center, we can design your project with you and assist you in making beautiful selections after you choose us to be your contractor. Our custom cabinet displays from Mid-Continent Cabinetry and Fieldstone Cabinetry offer a wide selection of both traditional and contemporary styles and finishes. Our countertop and tile displays allow us to help you coordinate styles, sizes and colors during the selection process. We schedule our trades and manage your project in a timely and efficient manner. When questions or problems do arise, we are experienced in answering the questions and solving the problems. Our goal is the same as yours: We want you to love your new remodeled home and be glad you did business with us!